Does the sound of summer give you a small feeling of panic and dread? Do questions such as, “What will I do with my children?” and “How will I stay connected to other moms?” fill your mind? Summertime can bring isolation, freedom, lack of structure, and the dreaded boredom that comes from having too much time on our hands. 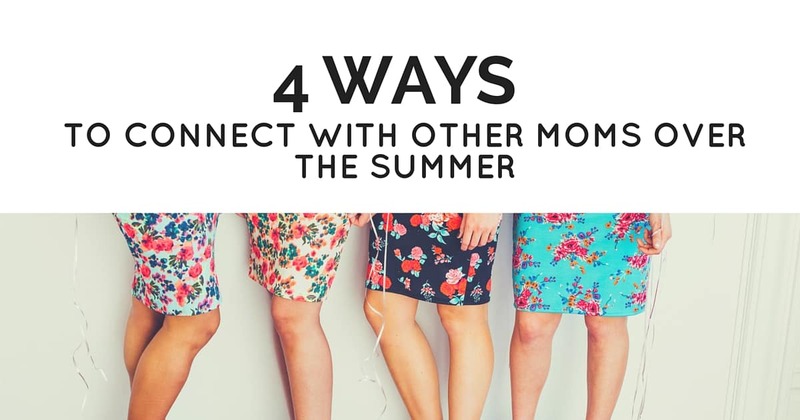 If you are like most mothers, you are seeking ways to connect with other moms as well as make new mom friends with whom to share your experiences over the summer. One of the best ways to stay connected over summer is to visit the beach. It’s a place for fun in the sun for kids and can be a place of camaraderie for the moms as well. Once you have an agreed-upon date and time, have everyone contribute to snacks and beverages. For example, rather than bringing only what your kids like, have one person offer treats, and another fruit, while someone else shares fun summer beverages like lemonade. Afterward, take turns going back to each other’s homes. Alternate an ice cream party at one person’s house with a jump in the pool another week at someone else’s place. When you have a commitment and a plan, it makes it so much easier to keep your word. Best of all, most of these offer mom-and-child programs where you can interact with others. Look into programs that offer mom-and-child lessons such as painting, swimming, dance, arts, and crafts. The list is endless, but the point is, if you want to connect with other moms, you need to join programs that offer opportunities for both moms and their children. There is no better way to connect with others and make new mom friends than to volunteer. A child is never too young to learn the benefits of giving back. Organize a beach clean-up or neighborhood yard sale, donating the proceeds to a charity your children can relate to such as an animal adoption agency. As you can see, there are so many ways to connect with other moms while keeping your children busy and active over the summer, creating a win/win situation all around.